In the vein of New York Times bestsellers Why Not Me? 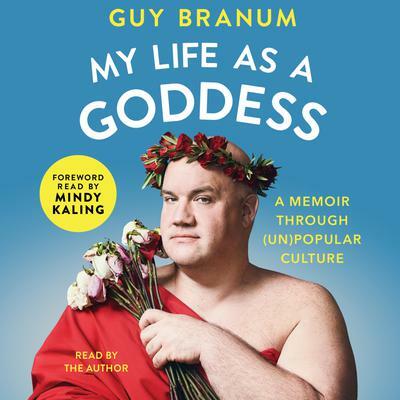 by Mindy Kaling and We Are Never Meeting in Real Life by Samantha Irby, a collection of side-splitting and illuminating essays by the popular stand-up comedian, alum of Chelsea Lately and The Mindy Project, and host of truTV’s Talk Show the Game Show. In this collection of personal essays, Guy talks about finding a sense of belonging at Berkeley—and stirring up controversy in a newspaper column that led to a run‑in with the Secret Service. He recounts the pitfalls of being typecast as the “Sassy Gay Friend,” and how, after taking a wrong turn in life (i.e. law school), he found stand‑up comedy and artistic freedom. He analyzes society’s calculated deprivation of personhood from fat people, and how, though it’s taken him a while to accept who he is, he has learned that with a little patience and a lot of humor, self-acceptance is possible.